If you have a cat, that cat is going to watch to scratch. And unfortunately they often want to scratch something you don’t want them scratching. The only real exception to cats wanting to scratch is if a cat has been declawed. While I highly recommend you do not declaw your cat, even cats that have been declawed still tend to exhibit many of the behaviors of cats that do still have their claws, so a scratching post could still come in handy to some extent. To remove layers of old nails from the claws. One of the most prominent reasons cat scratch is because their claws continue growing throughout their lives and they need to remove the old layers to expose the new ones. To exercise and tone muscles. It might not look it, but stretching out and scratching is actually pretty vigorous exercise for your feline friend and helps keep them healthy by working those muscles. To relieve stress, frustration and boredom. Have you ever just wanted to take a walk to stretch your legs? Cats are the same with scratching. To “warm-up” for a vigorous play session. Just like humans, warming up before a big workout is a good idea to avoid injury. To mark territory. This is similar to the way cats rub their face on everything in sight when they are happy and comfortable. The front paws of every cat contain scent glands and when they scratch something it leaves behind their scent on the object being scratched. So Why Buy A Scratching Post? 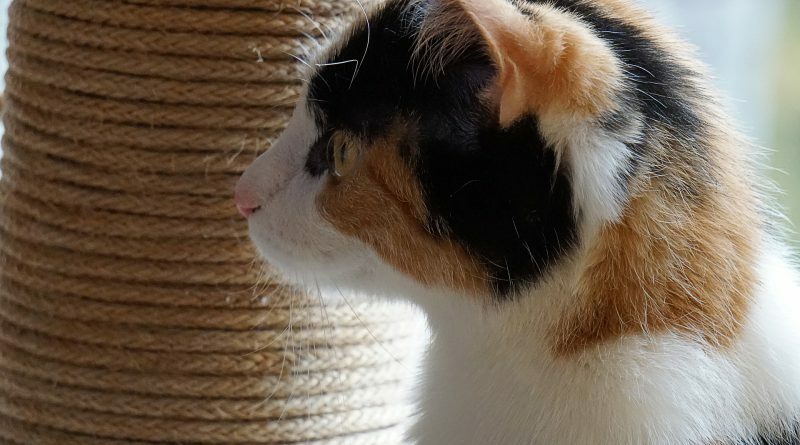 The most simple reason to purchase a scratching post is to avoid the frustration and the cost of damage caused by your cat scratching other things in your house. Cats without an appropriate scratching post or surface will scratch anything from your molding to your door to your couch to your carpet. Not only will they do this constantly, but the damage will mount quickly and the costs can be astronomical, especially if you own nice furniture or live in a place that has a large security deposit you might end up losing. 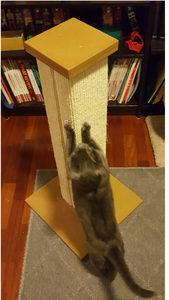 Bottom line, buying a high quality scratching post can help save you a lot of money and hassle in the long run by providing an approved place for your cat to scratch. I highly recommend this post for you and your cats, it gets a solid 5 out of 5 stars. I tried various other smaller posts as well as several horizontal scratchers that lay on the floor. To say the least I had nowhere near the same interest or success with getting my cats or any of my foster cats to use them on a consistent basis. Unfortunately a lot of other posts also run the same if not more from a cost perspective and just don’t seem to be as effective. You can see Beast, my smaller cat, really getting a fully stretch while scratching the post up. She loves it and uses it just in passing all the time. There’s plenty of room at the top for a larger cat to get a good full stretch in as well. One of the easiest cat products to build that I have ever encountered. It has two screws and you basically screw the base into the actual post. It doesn’t get much easier than this unless it comes fully assembled. 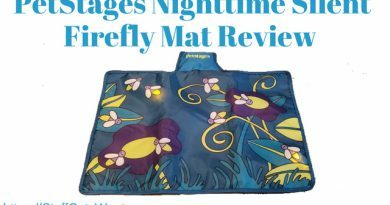 The post is incredibly durable and allows your cats to get a full stretch. At a little over 32 inches tall this makes sure even big cats are able to fully stretch out vertically while they scratch. Shorter products are often shunned by larger cats because it doesn’t allow them to get this full body stretch. The scratching material is sisal, widely considered one of the best possible materials for cats to scratch. The coloring is neutral and should fit in with almost any decor. If not you can place it somewhere out of sight once your cats get used to it, they’ll seek it out. The base is very wide at 16” x 16” which ensures that even larger cats don’t have trouble with it tipping and wobbling. Will this be a good replacement for my cat that scratches X? X could be anything from a chair to a door frame to couch. The short answer is this is a good scratching post that can be a replacement for almost anything your cat is currently scratching. That being said simply buying the post and putting it typically won’t automatically result in your cat switching scratching targets. You’ll probably have to help shift your cats attention and reward them for using the post instead of whatever they currently use. How do I teach my cat to use it? The material it is made of, sisal, naturally entices your cats to keep scratching. Once they try it once that might be all it takes. Place the post near whatever your cat currently uses as a primary scratching target. Play with your cat near the post, especially with wand toys that might get them to bat at or around the post. Reward your cat for using the post with treats or whatever motivates your cat. Rub catnip into the post so it becomes a self-rewarding activity to scratch the catnip out of the post. Is it good for multiple cats? Yes, it easily accommodates multiple cats and is durable enough to last a good long time with multiple cats using it daily. If you have used the SmartCat scratcher and had good luck or bad luck with it then please leave a comment below. If you have any additional items you’d like to see added to this post then please comment below or directly email me at Craig@StuffCatsWant.com so I can update the information here. 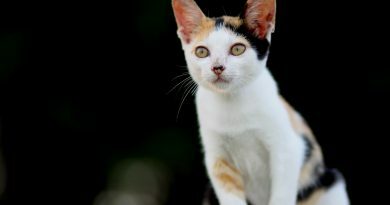 Why Does My Cat Keep On Vomiting – And What Should I Do About It? 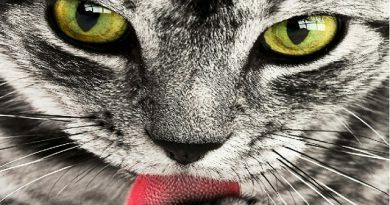 Why Do Cats Lick Their Owners? Are We Delicious? I love cats. My whole family loves the cats. Three days ago we had an accident one of my mom’s cats attacked one of her Australian birds, and that did not finish well. I think it is time to buy the scratching post, to avoid accidents. Scratching posts can be a great stress outlet so definitely worth consideration! It might help calm the cat down a little bit if you can get him to scratch it all the time. Good luck! Great info thanks. My cats love a good scratching post and go through them like nobody’s bussiness. I have 3 cats 1 small 2 large and like I said they like to scratch. Would one of these be enough for 3? Or maybe there are larger ones? I have two cats and the post you can see in my picture with Beast is 2 years old. It is still in really good shape even with daily scratching. I think it would probably treat you quite well for a long time even with a third cat scratching it too. Firstly, it is understandable that cat’s nail will keep on growing. But why do you need this post instead of helping them cut and trim their nails regularly. Secondly, you said that your cat Beast loves to use the post. My question is, how do you know other cats will love it as well and it’s not just the personal preference of Beast? Hey Jerry! Good questions both. In general you should clip your cats nails about every 1-2 weeks if you can. This absolutely helps control the need to scratch, but even with shortened nails cats are still inclined to scratch for other reasons. Cats also scratch to sharpen their nails because from their history sharp nails help them hunt prey and defend themselves. You are definitely right that trimming nails is far different from declawing. Trimming nails is not painful for cats at all unless you do it incorrectly. It is just like trimming your own fingernails. If you have any other questions definitely let me know! Thank you so much for your detailed and professional answers. I learnt something new today! Great question. The base is really large for the weight on top of it. I’d say they’d really have to make an effort to knock it over and it would likely have to be on purpose. Another option you could look at to confirm it won’t fall is lay something heavy on the back of the base and put it up against a wall. In several years of ownership neither of my adult cats has knocked it over and none of my fosters have either.